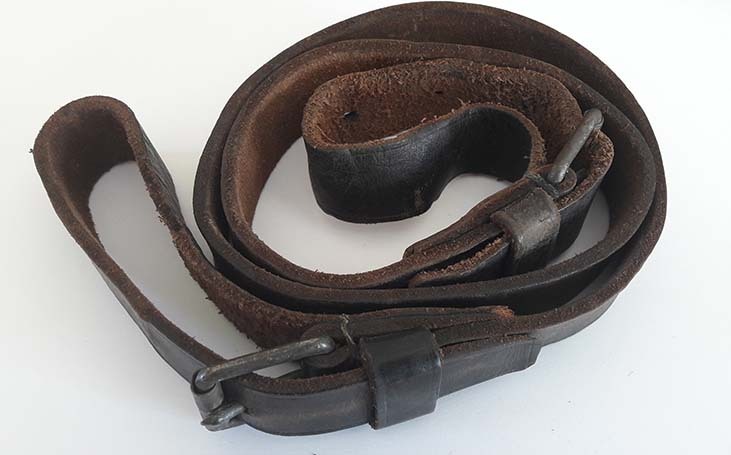 Black Leather rifle/smg sling with nickle buckle adjusters. Dimensions: Length 93cm (36.5") x Width 2.5 cm (1.00"). In serviceable condition. Original item.